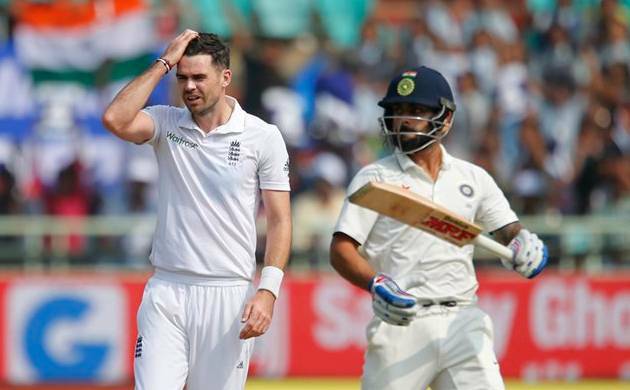 England pacer James Anderson has been ruled out from the Chennai test against India. England pacer James Anderson has been ruled out from the Chennai test against India. England captain Alastair Cook said Anderson developed body soreness from previous game, having him on field in this game is not worth the risk. Cook also informed of Broad’s inclusion. Stuart Broad had missed the last two Tests due to an injury on his right foot. Broad picked up four wickets in the second innings of the second Test. Anderson missed the first Test of the series in Rajkot after having suffered a stress fracture in his right shoulder. He joined the squad ahead of the second Test in Visakhapatnam and picked up four wickets in the game.